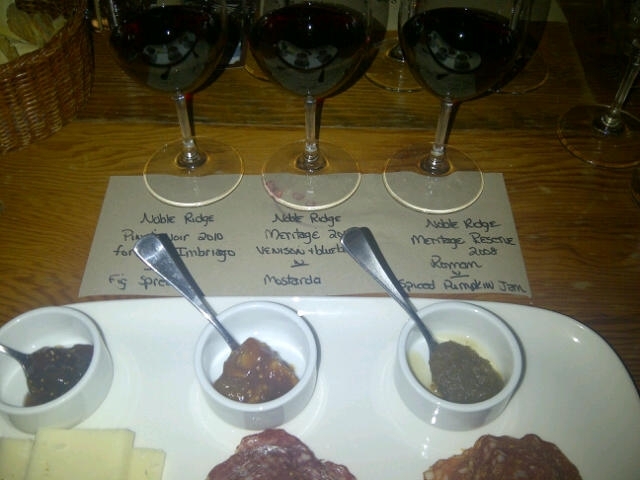 On November 5, Gastown’s Salt Tasting Room welcomed Noble Ridge, a small family run winery in Okanagan Falls, as part of their Cellar Series. It was so great to meet one of their owners, Leslie, who is one of the most passionate people I have met and loved interacting with guests, answering questions about the winery. She told us the stories of how her and her husband, Jim, opened the winery because they always loved being in the Valley and dreamed of owning a Vineyard. Now, the rest is history! 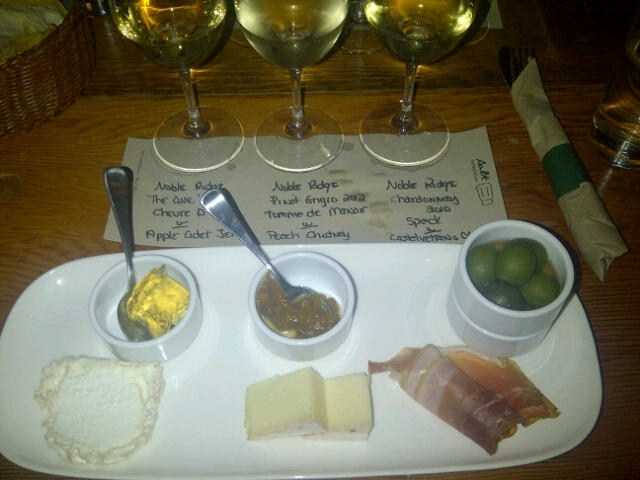 I have to say that my favourite white was the sparkling Chardonnay/Pinot Grigio ‘The One’. You would be lucky to get your hands on this one, its only sold in the tasting room. My favourite red was the Pinot Noir, which is sold at local VQA stores in Vancouver. Be sure to check out the Salt Tasting Room next Cellar Series event on November 26, when the tasting room explores Natural Wines. Tickets are only $51.60 and includes both food and wine courses- a total of 6 tastings!